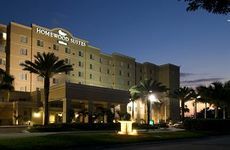 Find Homewood Suites by Hilton Miami-Airport/Blue Lagoon deals, discounts and special offers. Located on 150 tropical acres, this hotel has a golf course, pool with cabanas, dining and a spa. The Westin Colonnade, Coral Gables combines the ambiance of yesterday with the amenities of today. Enjoy nearby Miami sights while staying at this luxury hotel which features upscale amenities and accommodations. Four-Diamond luxury hotel designed after the Alhambra Castle in Granada, Spain. This European style boutique hotel offers complimentary wireless internet and continental breakfast. Located across from the University of Miami, the hotel has a swimming pool and a restaurant.